Hello Happy Site Owners! 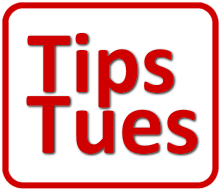 This is the BlogAid Tips Tuesday podcast for November 12 2013 and I’m your host MaAnna. If you normally read Tips Tuesday, I would like to invite you to listen to the podcast, as this is a different round up this week. It’s all about what it takes to have a successful site and business. You know me, it’s not fluff or hype. It’s Tips Tuesday, after all. So, I’m going to give you real steps that you can take to help your site be better. You’ll find links to everything I’m talking about in the show notes too. 1. Take a hard look at your navigation. 2. Group your content so it’s easy to find by the different segments of audience you serve. 3. Focus readers on you, or your services, or your changing content. 4. Every Page on Your Site is a Sales Page – That includes your About page. Look for conversion on it.